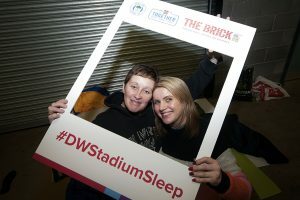 £8,000 raised for The Brick at the Big DW Stadium Sleep!	" 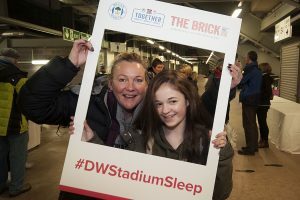 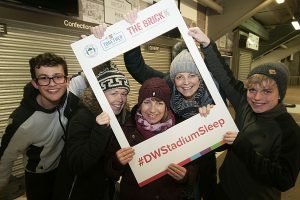 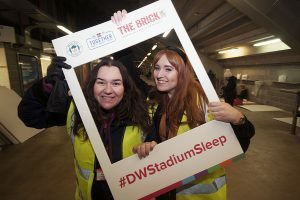 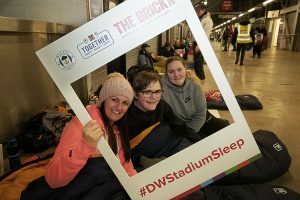 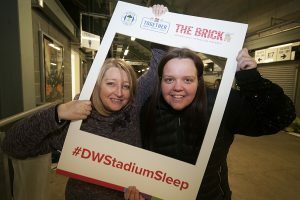 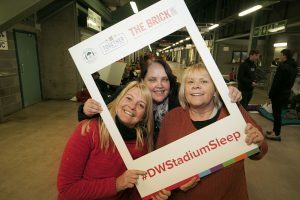 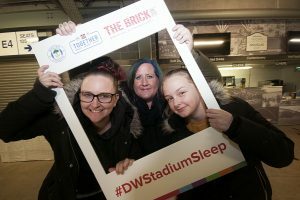 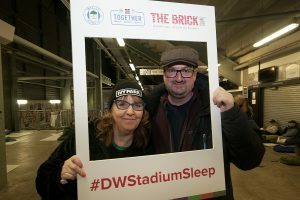 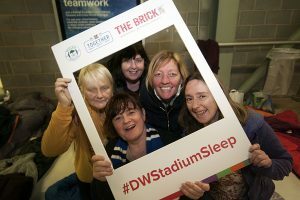 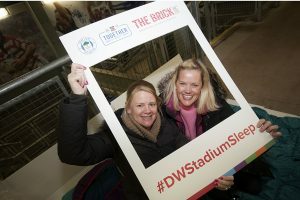 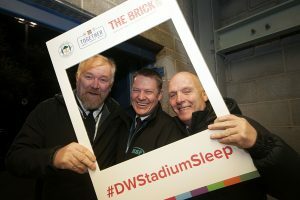 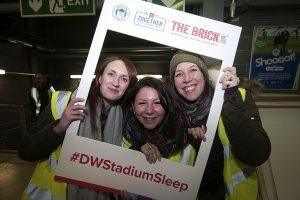 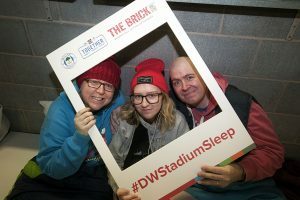 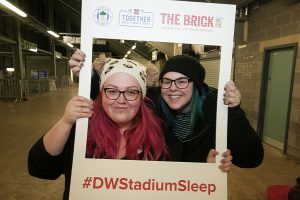 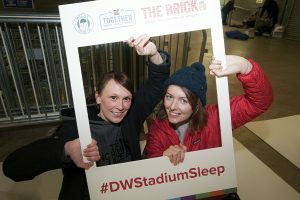 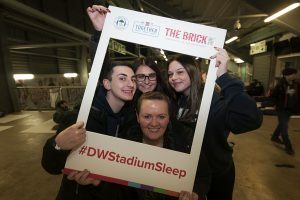 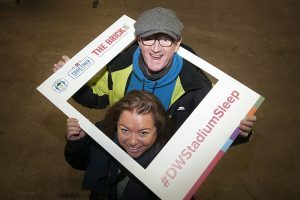 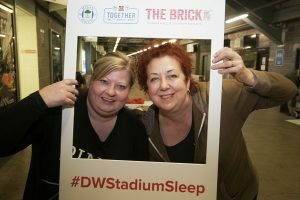 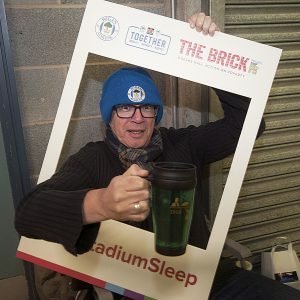 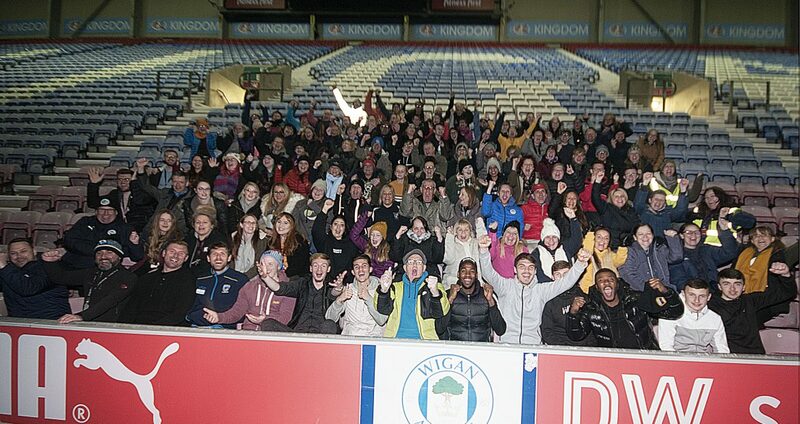 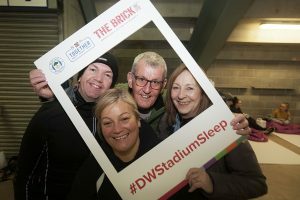 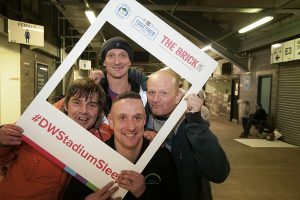 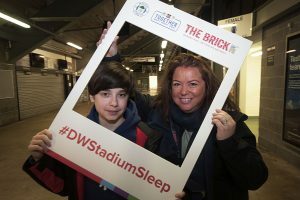 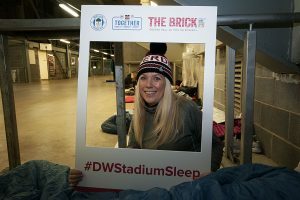 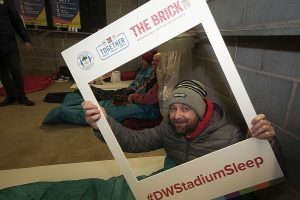 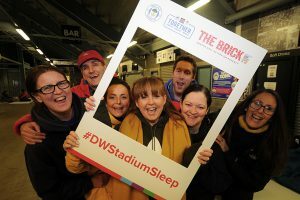 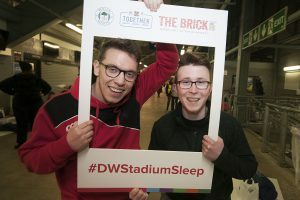 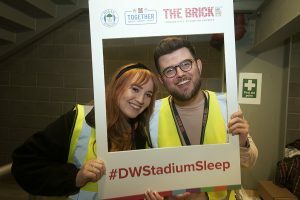 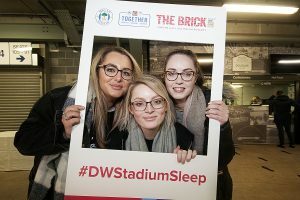 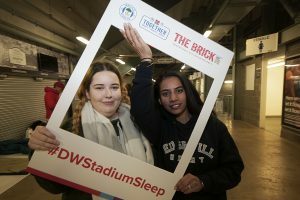 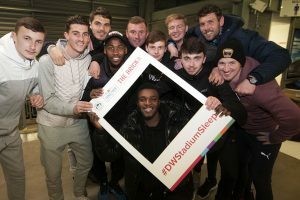 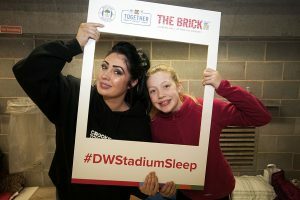 The Brick and Wigan Athletic hosted the 2019 DW Stadium Sleep on Friday April 5 and together raised an amazing £8,000 for the charity. 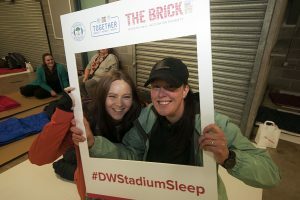 The night was a great success with over £8,000 raised for the charity by the individuals, local community groups and businesses from across the Wigan and Leigh borough who took part on the night. 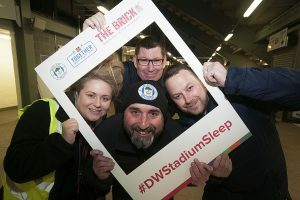 Latics and The Brick held the DW Stadium Sleep to raise money towards the charity’s main premises, The Brick Works, where people in crisis can begin to construct a new life through training and employment. 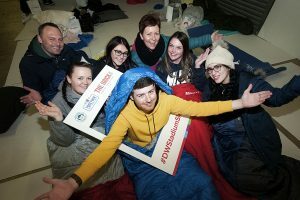 Those taking part in the event swapped the comfort of their beds for a sleeping bag and cardboard to sleep on. 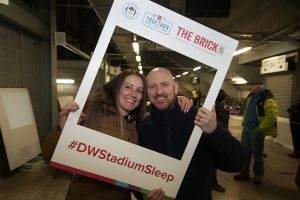 All the participants enjoyed a hot soup supper, entertainment from Lee and John from local band Grapefruit and inspirational speeches from The Brick CEO Louise Green and Head of Trustees John Parker who gave thanks to everyone who has supported the event. 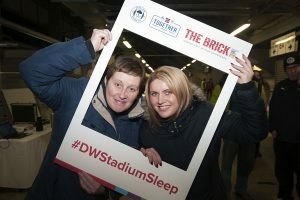 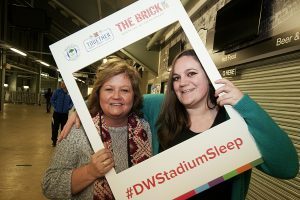 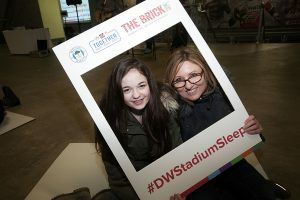 The Brick CEO Louise Green said: “”The evening was a great success and we are extremely grateful for the support of everyone who joined us at The DW Stadium Sleep. 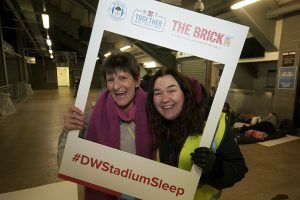 We managed to raise an incredible £8,000 do far with even more donations pledged and every penny of the money raised will go towards helping people in crisis, in our community, to begin rebuilding their lives. 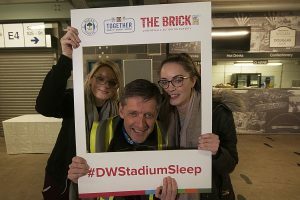 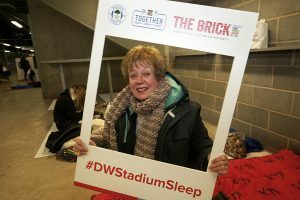 Jonathan Jackson, Wigan Athletic Chief Executive, said: “To raise £8,000 is an incredible achievement and credit to The Brick for ensuring the DW Stadium Sleep was another great success this year. 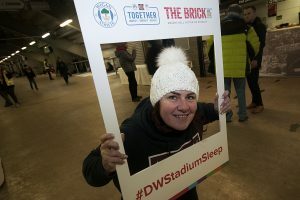 The relationship between the charity and the football club has been hugely positive over the past two years and the work carried out to help rebuild lives across Wigan has been fantastic. 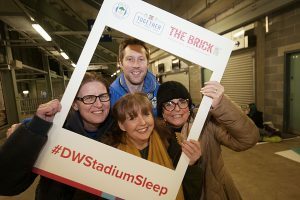 The DW Stadium Sleep is just one part of the Brick and Wigan Athletics charity partnership for a second season and the funds raised are going towards the £100,000 goal.